Our Bearhouse Characters are all named after famous places or landmarks be it palaces, castles or visitors attractions right here in the UK. 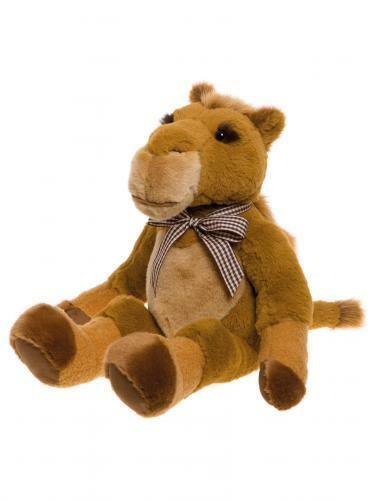 Oakfield the camel is made from several soft plushes of browns, toffee and caramel colours. Her Superb details include her long eyelashes which give her a very femine look she is as pretty as a picture and too cute for words. She has gently bent legs so she can sit on the bookcase or shelf in your playroom. She is softly filled and weighted for maximum cuddleability. All our Bearhouse Bears are machine washable and suitable for anyone aged 18 months or older. If you like this bear then you should also check out his bear family Dalton, Woburn and Blaise.